A 21-year-old motorcyclist died in a terrible crash that occurred near Roosevelt Boulevard and Wabash Avenue. Reports indicate that a vehicle was traveling southbound on Roosevelt Boulevard when it tried to turn left onto Wabash Avenue but wound up colliding with the motorcyclist, according to KRMG.com. The young motorcyclist was pronounced dead at the scene. He was wearing a helmet at the time of the collision. Deepest condolences go out to the family of the victim. Losing a loved one is always heartbreaking, but the pain is made that much worse when the loss is sudden and completely unexpected. The fatal accident continues to be investigated, but if it turns out that the driver of the vehicle turning left failed to properly yield to the motorcyclist, was distracted, or was negligent in some other way, there may be a basis to pursue a wrongful death lawsuit. If you lost a loved one in a sudden accident, the thought of taking legal action probably seems overwhelming. This is perfectly understandable. You need to focus on picking up the pieces of your life. This is why you should retain the services of an experienced Jacksonville wrongful death attorney to pursue financial justice on your loved one’s behalf. No amount of money will be able to bring back your loved one, but a lawsuit has the power to send a signal to the reckless party, and others in their situation, that the behavior leading up to the collision is unacceptable. In Florida, the statute of limitations for filing a wrongful death claim is two years from the date of your loved one’s death. This is a much shorter period compared to a personal injury lawsuit, where the injured party has four years from the date of the injury to file a lawsuit. Complying with the statute of limitations is critically important. If you try to file suit after the applicable statute of limitations has expired, there is a very good chance your case will be barred from going forward and you will lose your right to pursue damages from the reckless party. 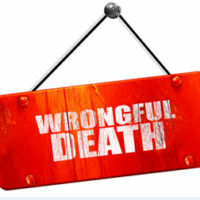 As you can see, there are an array of laws and regulations surrounding wrongful death lawsuits. Litigating such a claim can get quite complicated and frustrating. You should not be spending your time getting stressed out over contacting auto insurance adjusters and monitoring the statute of limitations. You should focus on your grieving process. Let an experienced Jacksonville wrongful death lawyer take the burden off your shoulders and file the necessary paperwork in court. Gillette Law, P.A. in Florida and Georgia is here to help you and your family. We have decades of experience representing families who lost loved ones in terrible, tragic automobile collisions and other accidents. Contact us online, or call us at 904-358-1304 or toll-free at 888-366-5904. Our law firm offers free, confidential, and comprehensive consultations.